How does student mobility affect the financing of higher education? In all OECD countries, higher education is financed by a mix of public contributions (e.g. income taxes levied on labour income) and private contributions (e.g. tuition fees paid by students). Often, the public share clearly dominates. However, within the last two decades almost half of the OECD countries have introduced or increased tuition fees. During the same period, the number of international students has risen rapidly. In tertiary education systems that are partly publicly funded, there are two possible causal relationships between student migration and the financing of higher education. First, it may be that the migration decisions of students are affected by the extent of private contributions, e.g. tuition fees. While comparably high public contributions may attract students from abroad, high tuition fees can prevent young people from studying in a foreign country. The empirical evidence is however not fully clear. The contradictory state of research in this area motivated us to analyse whether the second causal link – namely, that student migration induces changes in governmental policies – may also be possible. 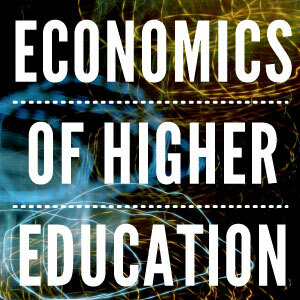 In tertiary education systems that are partly publicly funded, the country that “produces” human capital has to levy income taxes on the labour force to pay for the provision of higher education. If students of one (home) country obtain tertiary education in another (host) country, the labour force of the host country partly bears those international students’ education costs. Very likely not all of those students will later pay for their education in the form of taxes, as many will leave the country after graduation. Students then free ride on the education system of the host country. If a large share of students is mobile after graduation, this places a heavy financial burden on their former host country. One might expect that increasing student migration and low stay rates among graduates may force a government to shift financing more towards private contributions to ensure a sustainable financing system of tertiary education. We inquire this second causal link in a macro-level fixed-effects regression based on 22 OECD countries for the time period 2000 to 2011. Using added-variable plots, Figure 1 graphically illustrates the relationship between the share of immigrated students and the private funding share of higher education from regressions for the full sample controlling for country fixed effects only. We find a significant positive correlation between the share of international students and the private funding share for higher education. Figure 1: Correlation between private funding and student immigration – full sample. Notes: Added-variable plots of regressions of the private funding share of higher education on the share of international students and country fixed effects. Own illustration based on OECD Education at a Glance (2001–2014). This result is robust to the inclusion of additional explanatory variables like the employment rate of tertiary educated to capture the attractivity of a country for graduates, and further fiscal, political, and institutional determinants. In addition, we account for the fact that international students are not a homogeneous group when it comes to tuition discrimination and consider separately those who can and those who cannot be treated differently with regard to tuition. For both of these subgroups, the proportion of international students remains positively and significantly correlated with the proportion of private spending on higher education, with a greater significance for the group of students who can be charged higher tuition fees. We also inquire the possible role of the financial and economic crisis without finding any effect. Yet, at least from Figure 1, it seems that especially the United Kingdom, New Zealand and Australia may reinforce the positive relationship. We therefore consider different country-samples – in particular a sample without Anglo-Saxon countries (Figure 2). Again, in the graph we only control for the share of international students and country fixed effects. The positive correlation between the share of international students and the private funding share for higher education prevails. Including other control variables to our regressions, we again find that our main results do not change qualitatively, i.e., our results are not driven by specific country groups. Figure 2: Correlation between private funding and student immigration – without Anglo-Saxon countries. Furthermore, an instrumental variable approach supports a causal interpretation such that indeed mobility of students has an impact on the financing of higher education. To be more precise, we find that there is a dual causality between these two variables, with the positive effect of student immigration on the share of private funding being the dominant one. The larger the share of international students among all students in a country, the more a country shifts to private-based funding. With this study, we want to highlight the need for more empirical research on the question how, in general, mobility affects policy choices. For the case of student immigration, we have studied its impact on countries’ political decisions about the financing of higher education. Further research in this area should not only focus on the determinants of student migration, but also on the fiscal consequences that may result from it.